a lot of those places were like funky like that, you know, like funky like chitlins. Funk, or funky, originally meant "smelly" or "stinky", and cooking chitlins produces a strong smell I would call stinky, but eventually, funk and funky came to mean something thought of as cool and popular. In the Southern part of the U.S., chitlins were part of the foods eaten by mountain folk and black folks in particular, though many people liked them. Because they are the food of poor folks, they are thought of as being "down to Earth", simple, plain, and ordinary. This is often the sense of "funky" - relating to a particular group or taste. So black artists playing across the South called it the Chitlin' Circuit because they found chitlins to be a part of that culture. This is similar to the old-fashioned words of "cool, hip, mod, etc." Today it might be compared to "woke". So funky like chitlins would mean popular like chitlins. FounDit may I ask what Chitlins are , some kind of food stuff obviously but I am afraid it's not a word I am aware of. Foundit, you nailed the question! Chitlins is an abbreviated slang name for 'chitterlings'—which are cleaned and cooked pig intestines. In the Old South, slaves were forced to eat the animal parts their masters threw away. Chitterlings smelled 'funky' during the cooking process, but a tasty dish when prepared with the right seasonings. Thanks Hedy, it's similar to tripe then, the boiled stomach of a cow that's sometimes eaten here. ...but I do like savory ethnic dishes, just don't tell me what's in it! You remind me of a time I was in Miami for a friends wedding I was best man, and were taken to a small little Cuban restaurant by his prospective Brothers-in-Law. They ordered a number of delicious dishes such as morcillas and other spicy dishes, they were doing it as a kind of a test expecting the English guys to turn their noses up at it. Well morcillas are a form of black pudding and we eat those for breakfast, and spicy food Luton our home town has a large Pakistani, Indian and Bangladeshi population you can't move for really good curry restaurants ( the best ones in my opnion are dry, no alcohol allowed they tend to cater for the real people ) . We ate the food that was offered to and did not complain. But things like devilled kidneys, steak and kidney pudding, liver bacon and onions and faggots are all very nice as well like you say it's what you are brought up with. Oh and with Burns night coming up how can I forget haggis with 'neeps and tatties. So you're an Englishman...the three 'r's' through me off! 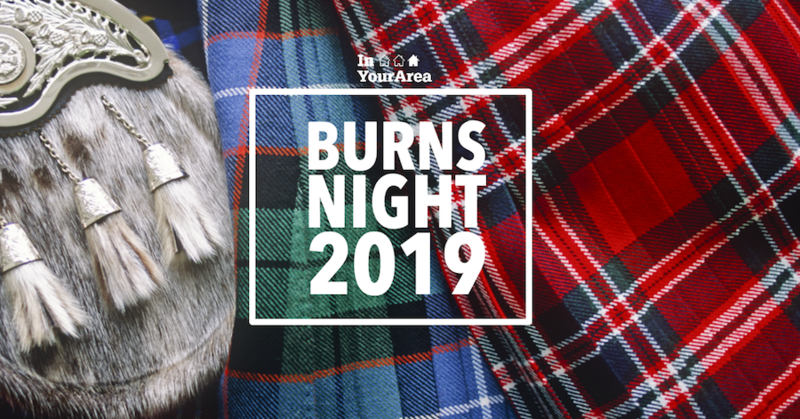 What is 'Burns night coming'? What are (what you almost forget)...haggis, 'neeps and tatties? BTW Did you see the movie "Sleepless in Seattle" with Meg Ryan, Rosie O'Donnell, Tom Hanks (Sam) and Rob Reiner (Jay)...Tom's wife has passed away and his little boy wants a new mommy...Sam asks his friend Jay for dating tips, because he's out of touch with the dating scene. Jay gives Sam ideas about dining and finally says, "Tiramisu". Sam asks, "What is Tiramisu"? Sam, in a dither, says, "What if she wants me to do it to her, I'm not going to know what it is? Jay says, "You'll love it"
...so, my last question Sarrriesfan is, will I love faggots? Probably not in NYC! I am actually British rather than English my heritage is part English part Scottish. Burns night is the 25th of January held in celebration of Robert Burns the Scottish poet on what would have been his birthday. There is a special ceremony involving Bagpipers, reciting some of his poems, drinking whisky and eating haggis. Many people just have the haggis and a whisky though without the rest of it. Haggis is a Scottish dish that consists of a sheeps stomach stuffed with sheeps offal (heart, lungs and liver) mixed with onion, oatmeal and various spices. It is traditionally serve with mashed or diced swedes called turnips or 'neeps in Scotland and potatoes or tatties. Faggots are a traditional dish from the Black Country of the English Midlands made from pork offal and minced bacon shaped into meatballs and wrapped in pork caul cooked in gravy. I don't remember the triamisu scene , but I know someone who would appreciate it they judge an Ialian restaurant on the quality of their tiramisu, Bedfordshire has quite a large Italian community we had POW camps for Italian prisoners during WW2 here and many stayed. When I first went to Uni in Australia I was gobsmacked to learn that Burns Night was one of the biggies on everyone's calender! It was HUGE.And now I've learnt that all of my colleagues in America and Canada count it a big night as well. I'd always considered it was a Scottish thing before I went to Uni - my parents celebrated it...but then my parents celebrated a lot! So, for me, it's been a bit of a learning curve to see it honoured in England, Australia, America and Canada...I had no idea! Mykyrokka is a soup that is a typical traditional dish in central Finland (Savo region). The main ingredient is myky: a palm sized dumpling made from blood and barley flour. The dumplings are cooked in the soup. The soup also contains potatoes, onions, fatty meat, and offal such as kidneys, liver, and/or heart. This soup is also called tappaiskeitto i.e. "butchery soup", referring to an old farm custom of autumn butchery when some animals were butchered and the meat and organs were made into sausages, hams, and other meats, and what remained was put into the soup. Yeah, well, I think the Scots in you is trying to describe haggis in an unappealing way. Haggis is a kind of sausage. The casing is a sheep stomach, just as other sausages may be cased in pig guts or cow guts. As with all sausages, it is made up of the bits and ends of meat (including "offal" the internal organs) from a slaughter. Sausage is made because one does not waste anything from the animal and sausage uses the odds and ends. Unlike many other sausages, but like the Hungarian hurka, haggis contains quite a bit of grain. Oatmeal (dried and chopped oats, what we would call "steel cut", not usually rolled oats) is used for haggis. Hurka usually uses barley, but sometimes it uses wheat or even more rarely, oats. They are both delicious. The best way to prepare them, in my opinion, is to slice the casing, empty the sausage into a pan, and fry it. You can also make patties. Or, you can put the whole thing in the oven and bake it. Yum! Sorry Sarrriesfan, my boo boo...I'm sorry I'm not too well versed in European ethnic groups... (did I say that correctly?). I'm always asked if I'm Spanish when I speak it (for I look Italian or Jewish, and with my name Hedy, it throws them off)...of course I'm not Spanish...they are from Spain..often not considered a Latin country...believe it or not. In Rotary, for St. Patrick's Day we have a big celebration with Bagpipers...and real Draught beer from Ireland, all the great dishes, etc...I love it! This sounds like something I'd like...a little like our morcillas. Just don't tell anybody in NYC, they might string me up and ask questions later! Sarrriesfan, you gotta watch it...you'll laugh out loud! If you have an opportunity to visit an Italian restaurant in Bedfordshire order tiramisu or Tartufo for dessert and finish it with a cup of 'Machiato'...they'll think you're a paisan! Jyrrktä Jätkä, Mykyrokka's recipe sounds interesting...and now I know what 'offal' is. Your Tappaiskeitto is made exactly like a dish we call Sancocho...which is delish! Well that's because the Scots in me likes to pretend it's superior to the Sassanachs who would not stomach a haggis. I like small patties or baking it in the oven. The first ever written mention of Haggis in Scottish literature was in 1747. Burns wrote "Address to a Haggis" in about 1780, I think. The first recipe found for Haggis is in an English cook-book - The English Hus-wife by Gervase Markham - published 1615. The prevailing theory seems to be that the rising popularity of posh French cuisine caused Haggis, black pudding, faggots and such things to be labelled as "poor-man's food", only eaten in "working class" areas in the north of England and Scotland. Somehow haggis ended up with Scotland and cow-heel and tripe ended up with Lancs and Yorks. There was a UCP shop in Newport Street which was short for United Cattle Products and apparently there were several such shops in and around Bolton. They specialised in tripe, cow heel and other 'offal' that other butchers did not sell. In the late 1960s there were hundreds of UCP shops in Lancashire. Today there are none. It is still possible to buy tripe, cow heel and oxtail on Bolton’s Ashburner Street Market. Tripe isn't as popular as it once was - but oxtail and other cheaper cuts of meat have come back into fashion. Tripe with onions was a popular dish during and after World War Two and its unique texture was, for many, an acquired taste. Cheap meals could be created with such products, feeding the family for less, particularly during the war. I don't know the real distinction between a sausage and a pudding (except that sausages seem to be long and thin, whereas puddings are fatter and often almost spherical). I'm from Lancashire - I like black pudding (boiled or steamed, with English mustard and vinegar), faggots in gravy and haggis (preferably boiled/steamed but it's OK fried with breakfast). However, some things are a bit 'beyond me' I tried my grandfather's tripe boiled in milk ONCE. Never again! My mother used to love lungs and cow's udder (I think it was called 'melt', but maybe I'm mixing that up with 'milt' from a pig). I didn't even try once. I like tripe, but . . .
1) It must be cleaned very well, or it will start digesting itself. 2) It must be very fresh. This is somewhat related to number (1). 3) It must be cooked very gently or (just like calamari) it turns into little rubber bands. I also like ox tail. Until the mad cow problem raised its head and prions became an issue, I frequently used ox tail as a base for soup. Now, no. Not even in the U.S.
AE does not use the term "pudding" for these kinds of products. Your description does fit blood sausage, however. The real difference being the amount of blood used in the making, with pudding or blood sausages having relatively a lot of blood in them. That's what gives a more pudding-like (if one considers "pudding" to strictly be a gelatin or starch-based product like vanilla pudding or blancmange) texture. Probably, it was just easier to get a liquid base into a bigger casing than to try to pour it down a long skinny tube. Forcing the other bits into a long skinny tube of liquid or pouring into a long skinny tube full of bits would be . . . messy. You have to,consider that we in tne UK also use the term pudding to describe suet style dishes like a steak and kidney pudding. We also have desserts like a Christmas Pudding. The gelatinous dish you think of as pudding is not the first thing that comes to mind. I dug around for a bit - just in TFD. It's the usual Saxon/Norman split. "Pudding" was Early Middle English (and could be a sausage in a long, thin intestine or in a round sac, like Haggis) - related to Old English words for a swollen sore - or 'stuffed' - and related to Low German puddek (sausage) and Low German puddewurst (black pudding). (Odd that German kept the 'wurst' bit and lost the 'pudde'). Sausage was Late Middle English and was the long, thin thing OR the meat itself - chopped, seasoned and salted to keep longer. From Old Norman French saussiche, from Late Latin salsīcia, from Latin salsus salted. This word came in around the fifteenth century. The Scots still use "sausage" for minced and seasoned meat, without the 'container'. Lorne Sausage is sold in 'bricks' and slices. Often called "square sausage". I've no idea how Yorkshire pudding and steak & kidney pudding really came about (though "Kate & Sydney" - joking name - is 'stuffed into' the suet case). The Burns Ode "Address to a Haggis" seems to hint at the etymology, too. Or fricassee wad mak her spew"
Then we have this head cheese or brawn (French: fromage de tête; Finnish syltty, tytinä, aladobi, which comes from French à la daube). Made with the same concept in Europe and elsewhere.